Once a month our entertainment team hosts a mini-showcase in our studio lounge to demonstrate their expertise and skill for potential clients. Various services are performed live including ceremony players, cocktail bands, DJ mixes, and vocalists. 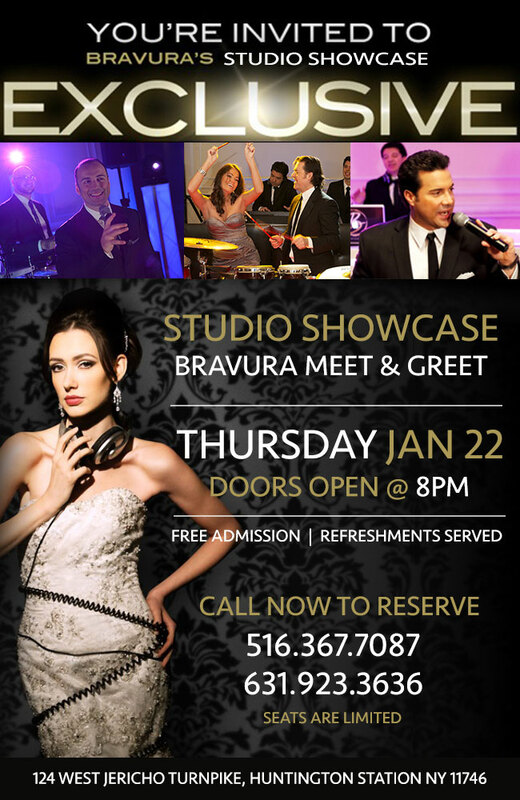 This is a no-obligation opportunity to get up close and personal with Bravura and discuss your wedding plans in a relaxed atmosphere while enjoying fabulous entertainment.